The Civil War (1861-1865), the bloodiest conflict in US history, was a struggle between the industrial, Union North and the agrarian Confederate South based on primarily ideological and economic issues such as slavery and trade. It represents a turning point in several ways; apart from the abolition of slavery, it changed the nature of US expansion from a territorial to an economic focus, in search of markets for initially northern industrial goods. Further it deepened the political division between north and south a divide still clearly visible today. This war, which was fought in 1898, consisted of military support for Cubans who rebelled against Spanish rule. The US was worried about their assets in Cuba and supported the rebels to safeguard these. It represents a turning point in US foreign policy towards Cuba through the Platt amendment, introducing Cuba as a strategic hot-spot. In addition, it extended US presence to the Pacific and East Asia through the acquisition of the Philippines. The Roosevelt Corollary (to the Monroe Doctrine) of 1904 represented a shift in US policy towards other countries in the Western Hemisphere (and by extension towards those in the Eastern). It reserved to the US the sole right of military intervention in countries within its sphere of influence, contrary to the Monroe Doctrine, which had no specifications on this point. It was the background for the construction of the Panama Canal and was later replaced by Franklin Delano Roosevelt's Good Neighbor Policy. The 1922 Washington Naval Treaty governed the naval capabilities of the US, European powers and Japan, placing the US and Britain above the rest. The treaty constitutes a turning point because of the increased US commitment to safeguarding its economic interests. Furthermore, the establishment of the prominence of the US navy signals a desire for overseas expansion, which can be seen as related to the Hay's Open Door Policy and the Roosevelt Corollary. The New Deal was a set of government programs initiated by Franklin D. Roosevelt in 1933 as a response to the Depression. Focusing on relief for unemployed, restructuring of business practices and recovery of the domestic economy, these isolationist programmes represented a turning point in US history because of the increased influence of the federal state on domestic life, especially business life. American society is traditionally anti-statist and adverse to this idea, which explains why the New Deal also introduced the first ever social welfare system in US history. The New Deal itself lost prominence due to the boom during the Second World War, but government influence in this area was not severely restricted until the Reagan era. The National Security Council Report 68 of 1950 was the political application of George Kennan's advice of containment of the Soviet Union. Although Kennan advised economic and social containment, the NSC-68 deviated from this by prioritising military intervention over diplomatic containment. It thereby represented a turning point not only in US-Soviet relations but also a general shift in foreign policy practice towards former colonies and the third world. NSC-68 can be seen as the political foundation and prelude to the Korean War. This resolution of 1964 was the response to the allegedly two, though probably only one attack by the North Vietnamese on US ships in the Gulf of Tonkin. It gave the executive broad powers to step up the military commitment in Vietnam, leading to a massive troop build-up and aerial bombardment culminating in 1968. This represents a turning point in terms of expanded executive war powers, leading to dramatic effects on the domestic consensus, later known as the "Vietnam Syndrome" and the extension of the traumatic Vietnam War. The resolution was attempted reversed by the War Powers Act. This 1973 act of congress was a response to executive accumulation of war powers following World War Two. Specifically, it demanded congressional approvement for any military engagement lasting more than 60 days, and further reports by the executive to Congress. While this might be said to represent a shift to more legislative control with foreign policy, the fact is that later presidents have either kept military engagements brief or popular with the public, thus often forcing Congress to give its approval without executive request. To the extent that the WPA can be called a turning point, this has got to do with political practices rather than a real shift in power. Formulated by national security advisor Zbigniev Brzezinski and named after President Carter, this 1977 doctrine was a commitment to the security of the Gulf area and a response to the Soviet invasion of Afghanistan. It represents a turning point due to its expressed commitment to the Middle East, leading both to the armament of the Mujahedin and later involvement in the area. 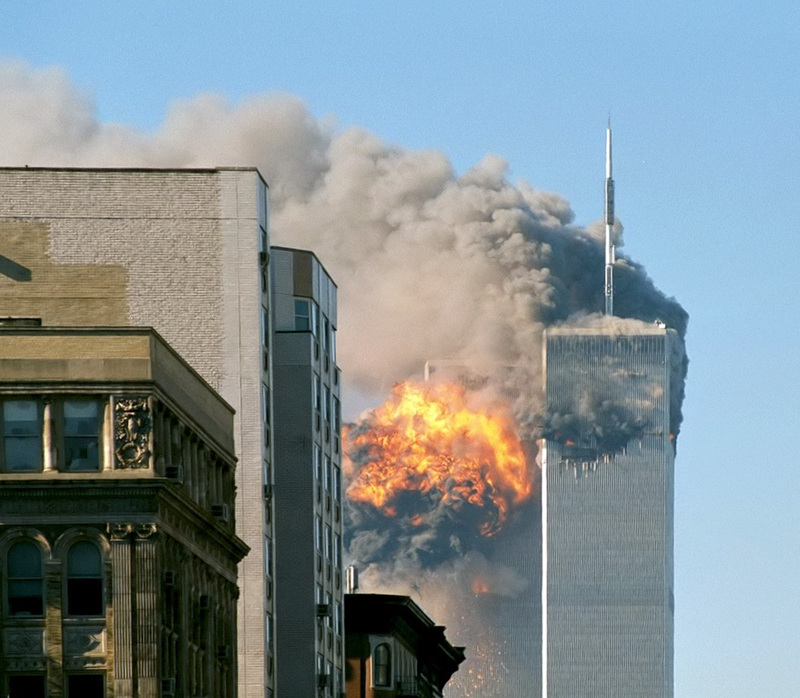 In response to the 9/11 attacks in 2001, the Homeland Security Act was rushed through Congress. It called for the establishment of the Department for Homeland Security and broadened the power of law enforcement and intelligence agencies to conduct surveillance of the US public as a anti-terror measure. The constitutionality of the Act has been questioned and it represents a dramatic twist of domestic policy as a complement to a turn in in foreign policy. It can also be seen as a turn against anti-statism, human rights conventions and legislative power due to the role of the Executive in the period of the passing of the act.